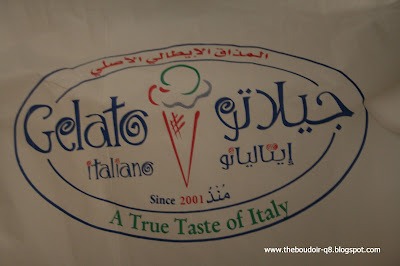 Even though I stopped my ice cream intake because of dieting, I couldn't resist trying Gelato Italiano, especially after reading the mass reviews written by many bloggers. So more than a week ago, I had to go and get the new Ramadhani flavors I heard so much about and was afraid they wouldn't be available when the month came to an end. 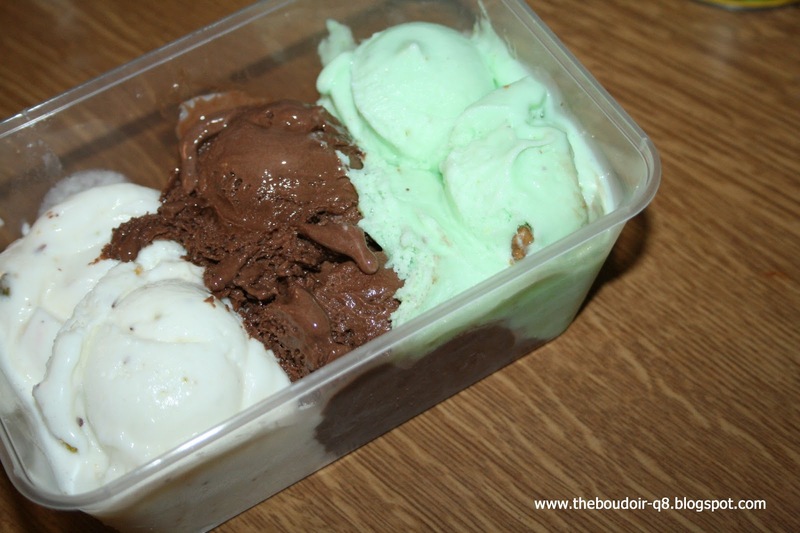 Ma Vie Ma Joie is behind this ice cream venture and I'm glad I thought of trying their delicious goodies. I have never visited the shop before because I couldn't park in their Sharg branch and wouldn't dream of going to Hawalli in this boiling hot weather. But I was desperate, and the Hawalli branch was my safest bet as I was sure there was going to be parking. So, after work, may turn out to be my only chance to go to the area. And it was! The streets were nearly empty. 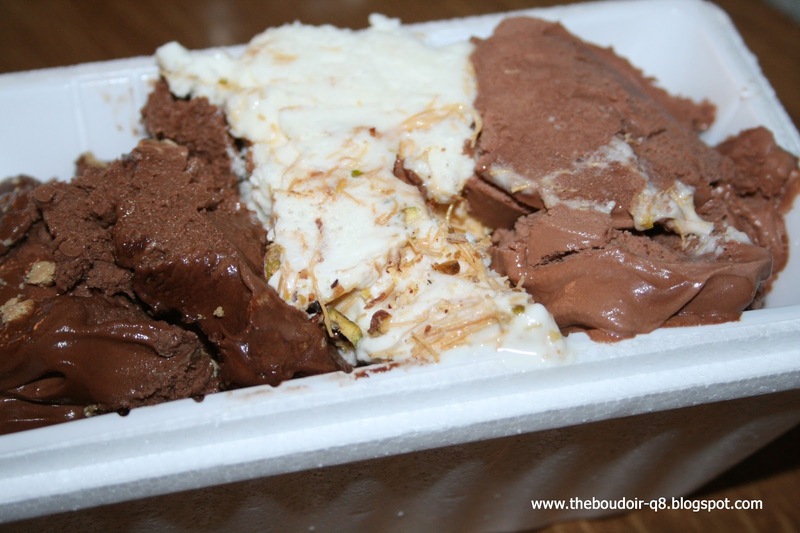 I was blinded by the variety, and wanted to order every kind of ice cream but I opted for 6 kinds only. 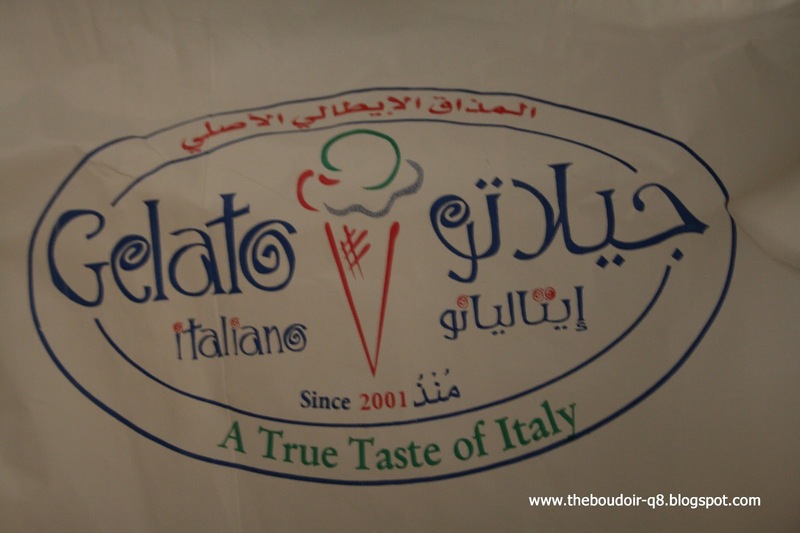 There were the normal kind of dairy ice cream, some sorbet like, like the lemon and mint flavor, and then there's the arabic ice cream (boodha 3arabiya). All flavors look so good I nearly asked to try (something I'm used to doing in Baskin Robbins). i was thinking about it just todayyy! !